Shopping addicts will truly love partaking in a city and shopping tour of Liberia, the cultural centre and capital of Guanacaste province. As one of Costa Rica’s oldest towns, Liberia is bustling with history and hosts an intriguing blend of both colonial and modern architecture. Just picture whitewashed adobe houses adorned with red tile roofs and wooden doors. Liberia is not called the ‘La ciudad blanca’ aka the white city for nothing. On your tour you will visit the Sabanero Museum dedicated to the history of Liberia and the Costa Rican Sabanero or ‘cowboy’. Here you will view old photographs, farming tools, and other artifacts from the Guanacaste province during the colonial/post colonial era. The sabanero culture is vital to Liberia’s identity as they helped to shape the capital. The gallery of pre-Columbian art is a must-see as well. 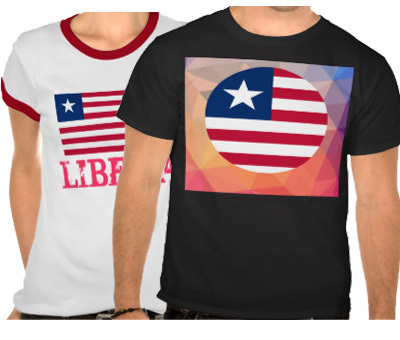 Liberia is known for the its sense of pride when it comes to history and tradition. Thus, as you stroll through the heart of the city, central park, you will feel its Spanish charm and appreciate its colonial appearance. As your tour enters central plaza, be sure to people watch and look for Liberia’s oldest church, the historic La Agonia church. It is one of Liberia’s architectural gems. Lastly, when it comes to shopping, nothing will beat the local handcrafted store fronts! Here you will find plenty of gifts for the entire family. But be sure to save some money as you will visit the Guardia Souvenir shop on your way back. Guardia is filled with Costa Rican art, carved wood, and other pottery goods. It is a unique shop that you will not want to miss. If you just so happen to travel to Costa Rica on July 25th, which is Guanacaste Day, the day the province celebrates its independence from Nicaragua, you can expect the streets to be filled will fun activities. Traditional festivities include musical performances, a horse parade, a cattle auction, a bullfight, folk dancing, and a rural fair. These celebrations allow you to witness Costa Ricans’ admiration for music, dancing, and life itself. While Liberia may not be as metropolitan as San Jose, it has a one of a kind charm that is worth taking your time to visit. Liberia is only gaining popularity with its surrounding pacific beaches, national parks, volcanoes, and nearby international airport. Thus, it is important to plan your tour ahead of your travels. Make sure to pack comfortable clothes, walking shoes, a waterproof jacket, sunblock, hat, and camera. Your tour will take around half a day to complete.